It began with the legendary Odinblades Warder. It evolved with the Longship Armoury Verrimus. And now there is Serenity. Serenity is the latest Legends line project, featuring a winning combination of the German kriegsmesser, the Chinese liuyedao, the Japanese katana, the Swiss sabre, and the complex-hilted longsword. It is truly a sword for the eclectic swordsman/swordswoman. 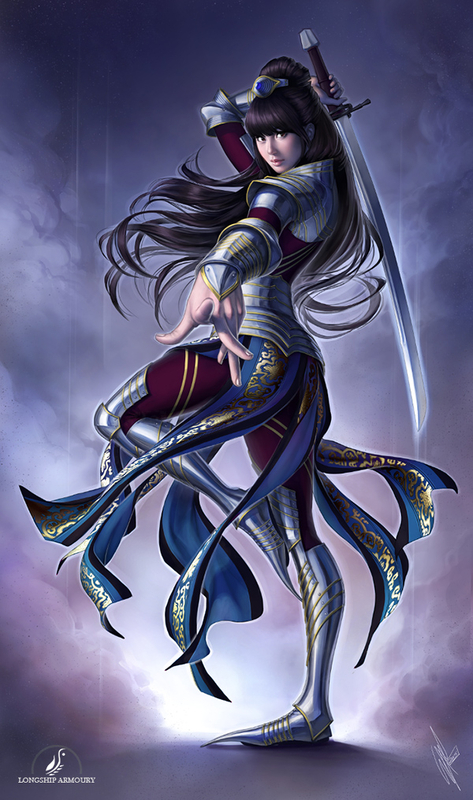 As a Legends line sword, Serenity is limited to 10 pieces and includes a beautiful poster/certificate of authenticity of the swordswoman Grace wielding the Serenity as drawn by Warren Louw (featured by UDON Entertainment, DC Comics). Don't miss out on this exclusive sword! The swords are currently in production and expected to be delivered in September 2015.